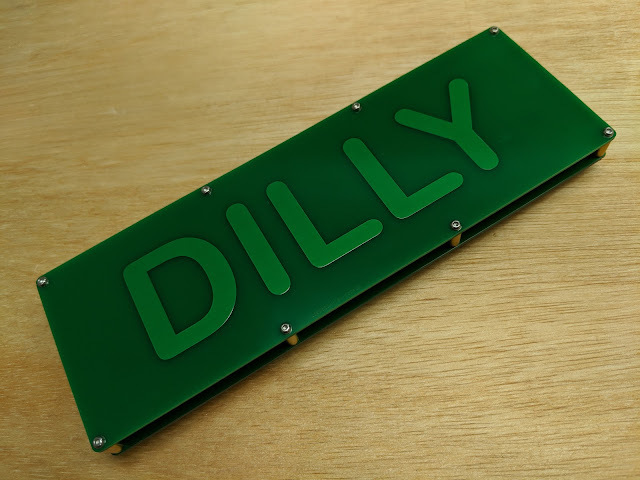 I made a PCB sandwich case for the Dilly. 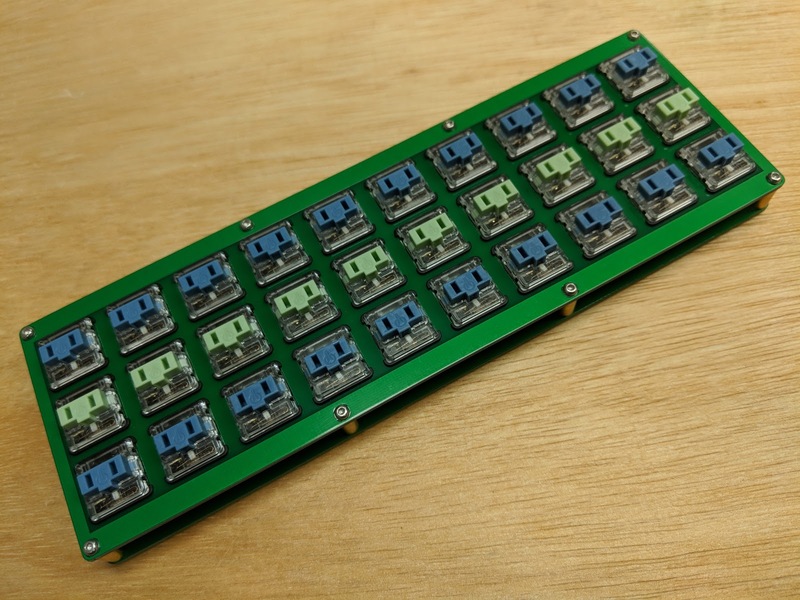 The low profile Kailh Choc switches are plate mountable, unlike the Cherry ML which are PCB mount only. 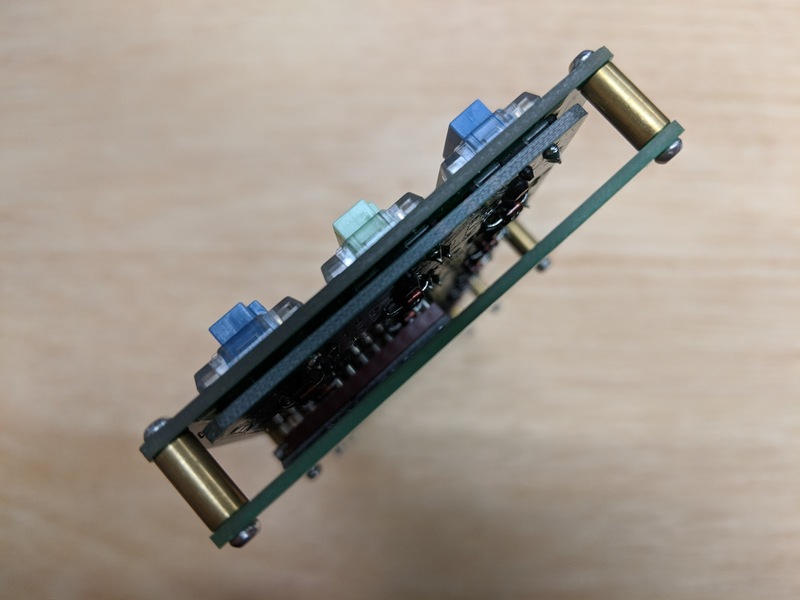 The cutouts for the switches are 14mm squares, just like Cherry MX style switches. I used one of the rev 1.0 PCBs that are sold at a discount on keeb.io crap sale. They come in a pair. 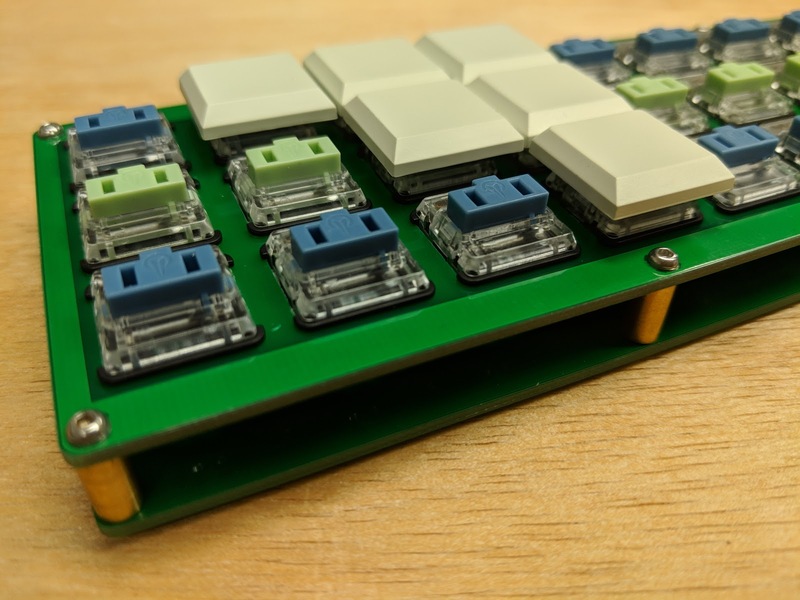 I didn't have enough of the blue switches so used Jade switches for the middle row. The contrast in the louder clicks is interesting. Bottom plate. The other side is blank. M2 spacers and screws hold the two plates together. 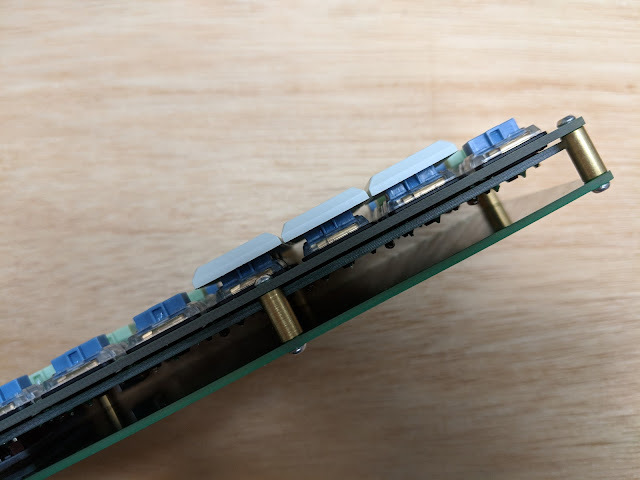 There is a very tiny amount of space between the top plate and the PCB. About 0.5mm. All components have to be placed on the bottom of the PCB. All the leads have to be trimmed as short as possible. I trimmed the pins on the socket flush with the PCB before soldering it on. I used a standard height socket as the low profile socket "pins" are hollow and I can't trim them shorter without damaging them. Everything fits. The Pro Micro is now recessed and protected by the plates. On the bare Dilly the Pro Micro sticks out the top about 2.5mm.